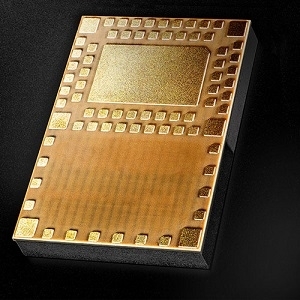 Insight SiP has been developing miniature RF modules for various applications since 2010. Recently they announced that their ISP130301 Bluetooth module is a key component of the BodyCap solution used by the European Space Agency (ESA) as part of their health monitoring solution. This is being used by Mr Thomas Pesquet on his mission on board the International Space Station (ISS). The Insight SiP module acts as miniature radio gateway within the BodyCap solution. The ISP130301 has a good balance of power and performance at a competitive price for Bluetooth Low Energy (BLE) Applications. Based on Nordic Semiconductor’s nRF51 chip, it is one of the smallest BLE / Bluetooth Smart modules on the market measuring only 8 x 11 x 1.2 mm. Power consumption is excellent, and with integrated crystals and DC-DC converter, this product offers the ideal choice for customers wanting to balance cost and sophistication. Click here to learn more about this Bluetooth Smart Module.